My uncle came back from Vietnam and gave me my first guitar when I was 12 years old. Started out playing and listening to the music of the day, mostly British bands mimicing American blues artists. Played Long Island high school sock hops and mixers with a number of bands then a few clubs at 18 . At 19, jumped in my 64 Impala and headed for the west coast. No plan, just a guitar and a dream. Spent a few years touring with a variety of show and performance bands. We opened for main stage acts in Reno, Tahoe and Vegas as well as performed for Rodeos, Bike runs, Truck stops, Festivals and Clubs throughout the western states. Lot of history there, playing and hanging with a lot of name people and playing with a few. Met hundreds of talented, studied, deserving players and the best had the least words to say. I was taught to play from the heart and share passion. Live music performance is unique every time, it is a tough business, and standing on a stage playing is the easiest part. Since back in New York, my best outlet has been the weekly jam running for the last 14 years playing spots on the Island including the Cats Meow Lounge and The Brickhouse Brewery in Patchogue. I only do one jam at a time to keep it a celebration of musicians and thier musical experience not just a commercial venture. 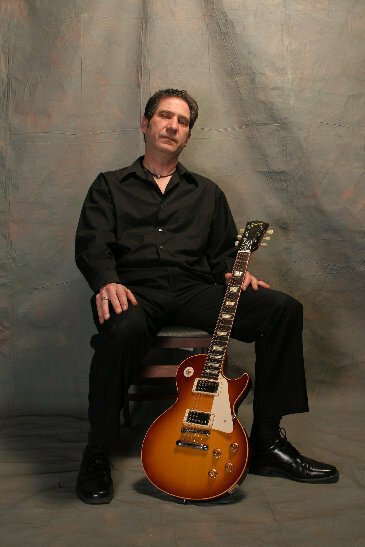 I am currently the Vice President of the Long Island Blues Society, bringing the music out to people. The blues are a passion with me. Not a technical excercise of notes, but an outpouring of a human spirit and feeling we all share. The joy is in the telling and sharing of the story.